Chow down on camp cuisine from Fox Chapel's Easy Campfire Cooking. With over 200 skewers, foil packets, dutch oven, and skillet recipes, your fireside meals will not only be delicious, they'll also be fun and easy to make. 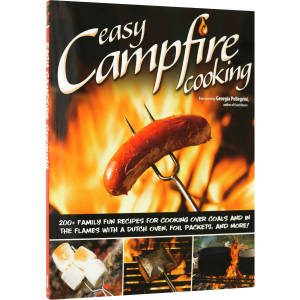 This recipe book also comes with tips on how to build the perfect cooking fire and a variety of flavors to satisfy your whole group's appetite.